The non-profit Yukon Trappers Association has been in operation since 1974, initiated by a group of trappers who wanted to speak with a unified voice and to provide services and products that were specific to trappers. 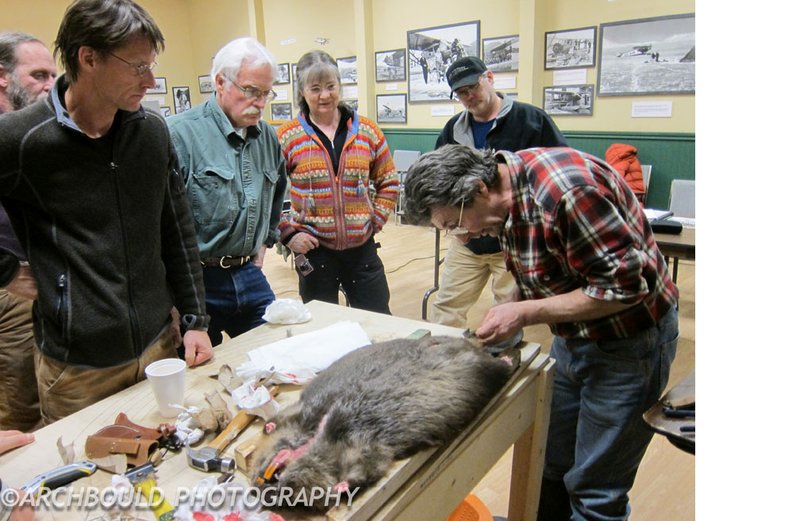 For many years YTA was also responsible for providing the Trappers Education Program, an instructional workshop to teach the basics of trapping. Recently YTG has taken this program over. Currently YTA is operating at 175 Titanium Way where we are open Thursday, Friday and Saturday afternoons. Since 2009 YTA has been run by a solid group of volunteers who provide all the services and maintain the administrative integrity of YTA without pay. Returning to its roots, YTA now offers only trapping supplies and a wide selection of tanned fur for sale. 6) Working with other Associations on kindred or related business. For example; YF&WMB on the fur strategy, YOA on the wolf incentive program. Directors, Sonja Seeber,Andy Johnsgaard, Jean Legare, Jurg Hofer, Brian Gudmundson, Larry Barrett, Vic Sokalski, Paul Kloepfer, Brian Boychuk, Dave O’Farrell, Megan Melanson, Frank Mueller and Grant Redfern.